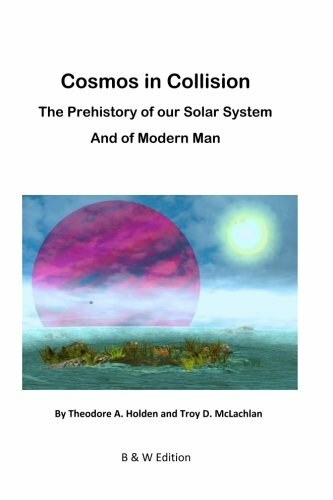 This version of Cosmos in Collision differs from the 2013 version only in having a different cover, and in the images being in grayscale rather than in color. This has the effect of making the book more affordable, and color images by page are available on the associated website, www.cosmosincollision.com. This book involves an extraordinary claim: that the authors have determined to within a statistical certainty the original home of modern man, and that the remains of that ancient homeland are within our solar system. The evidence and logic behind the claim are compelling. This book does not answer every question which readers will have about human origins. But several of the questions which it DOES answer are very big ones. These include: Where did modern man come from? What was the relationship between Cro Magnon man and the familiar antediluvian people of Genesis? What if any relationship was there between humans and hominids? And a number of others.